Say this with me: “It’s not about money, it’s about the heart!” We concluded our Supernatural Increase series this past week. The insights when studying the Bible regarding finances are eye-opening! When I was reading two passages while studying for this series, I found a common theme. In Malachi 3:6-12 and Luke 6:38 I noticed that God drew attention to one thing before the other. What was it? The heart of people before the amount or the money. In both passages, God the Father and Jesus weren’t caught up in the amount given. If they were, they would have sounded like the Pharisees in Matthew 23, who had forgotten what mattered most. You see an amount being stated in Malachi 3 but you notice God takes to task the condition of their heart. Why? 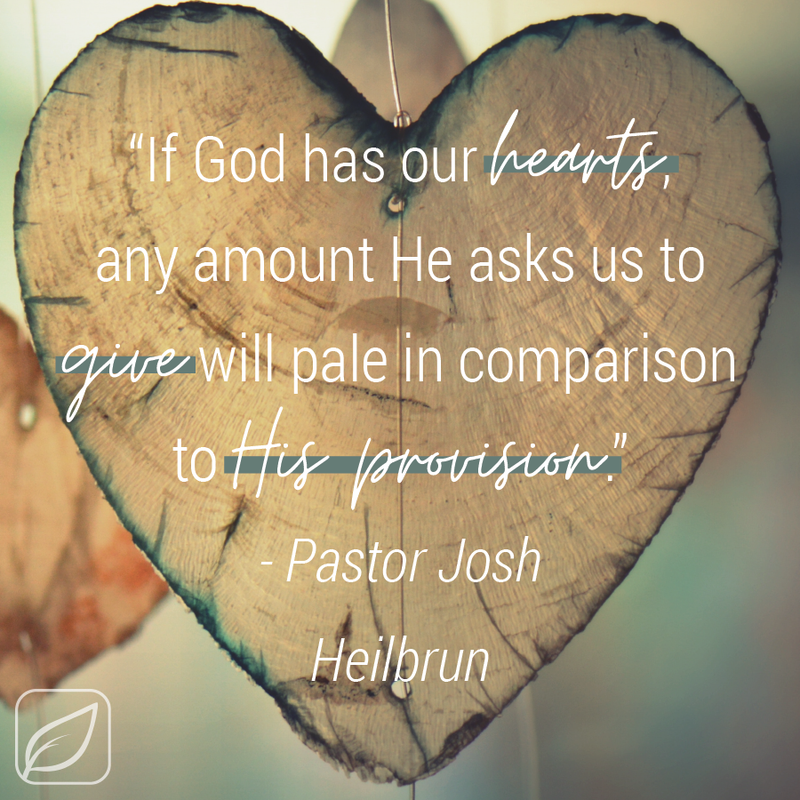 If God has our hearts, any amount He asks us to give will pale in comparison to His provision. God says in Malachi that the people of Israel robbed (or cheated) the Lord. Where does robbery come from? Our hearts and minds! It begins with a thought of compromise: perhaps a justification that God has enough, or a prioritization of ourselves before the Lord, or fear that we won’t have enough. God doesn’t condemn us. He offers us an invitation just like Israel: “Come back to Me." In the context of Luke 6:38, Jesus highlighted the power of giving. When we give forgiveness, it comes back running over! Mercy! Love! Patience! Understanding! However, it also works the other way. If we give judgment, condemnation, lack of patience, it will also come to you in good measure, pressed down, etc. That was a sobering revelation. Whatever I give will return to me in the same measure. I saw these things and realized It’s not about the money, it’s about the heart! If I limit this principle to finances only, do I cheapen or limit the power of this principle? Are blinders on my eyes? Christ has made supernatural increase about more than just money! In his book, “The Blessed Life,” Robert Morris writes in about it getting a heart transplant. As he writes about his journey to living a generous life, he emphasizes how God had to work in his heart. He states, “‘The give and it shall be given to you,’ principle is to be our reward, not our motivation.” When we give, it is a bi-product for us to receive. We focus on the joy and cheer we get out of giving, being careful that our motivation is not just for God to give us more. God never rewards selfishness or those who only give for personal gain. Morris says it best, “God doesn’t want us to catch the vision of getting. He wants us to catch the vision of giving,” (page 100, The Blessed Life). The message and command of Jesus in Luke 6 is GIVE! Give to those who ask of you. Give to those who cannot pay you back. Love to those who do not deserve it. Give mercy to those who wrong you and give the kind of treatment you would hope to receive from others. Give and give some more! And guess what, when you give generously as our Father in Heaven and His Son gives, He makes sure we have all we need and more!